~ Written by H. Gordon Munro for the first Show program. Photo: H Gordon Munro with his property Keera in the background. These words still ring true today as many things still trouble our community, not least the ongoing drought. But, we aspire to continue to meet those difficulties and challenges head on, as past Show Societies have done. Working together as a community has meant that we are able to keep the proud tradition of the Bingara Show Society alive. 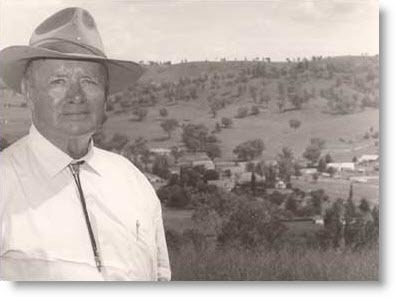 The Bingara Show was founded in April 1930 when a meeting was called to form a committee. 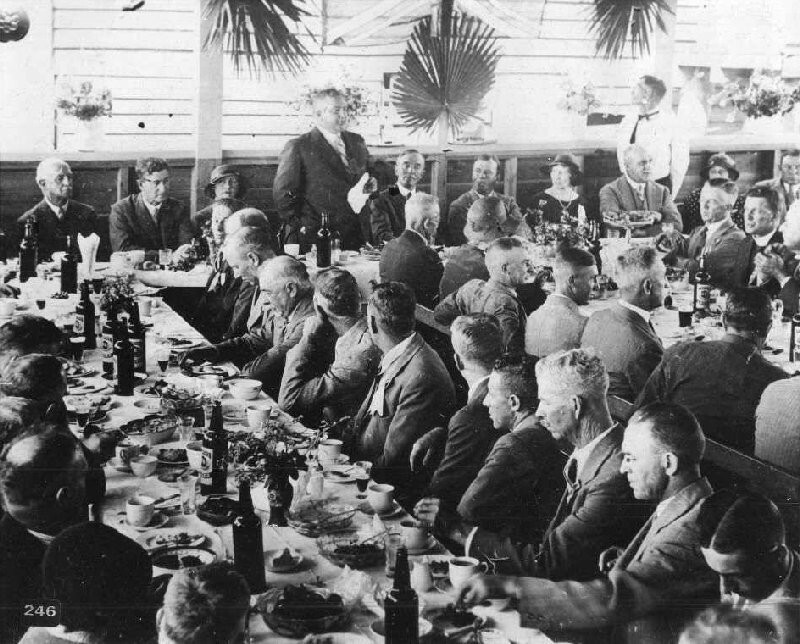 The first general meeting was held in August 1930 where H. Gordon Munro was elected President, a position that he would hold for the next 25 years. 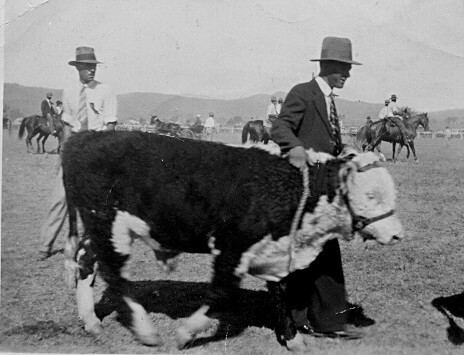 The first Bingara show was held in March 1931, and was a great success. Since then the show has had to survive through the great depression, World War ll, many droughts and financial situations that have seen the show go from a three day, to a two day and when things got tough a one day show. Presently it is back to three days, including the Campdraft on the Friday. The past 88 years has seen a number of Presidents, each doing a wonderful job to keep it going and adding their own interests and ambitions to the show. The show is in its 87th year and is still going strong, however there has been many changes. The Bingara showground in particular has undergone a remarkable transformation. At the turn of the century during Garry O’Neil’s presidency major upgrades were done as a result of grants. The new campdraft arena was built, power and water was installed on the hill, and a new toilet block was constructed on the eastern side of ground. Many hours and dollars were spent to have the grounds ready for the 2004 Australian Campdraft Championships which had over 2000 entries. The improved infrastrucure is what attracted the Campervan and Motorhome rally in October 2008. Additional power was required to supply the 3,ooo campers who stayed for over a week and as a thank you for the wonderful facilities additional buildings were constructed and upgraded by the caravanners. The showground is now renowned state wide and boasts some of the best facilities in rural Australia. 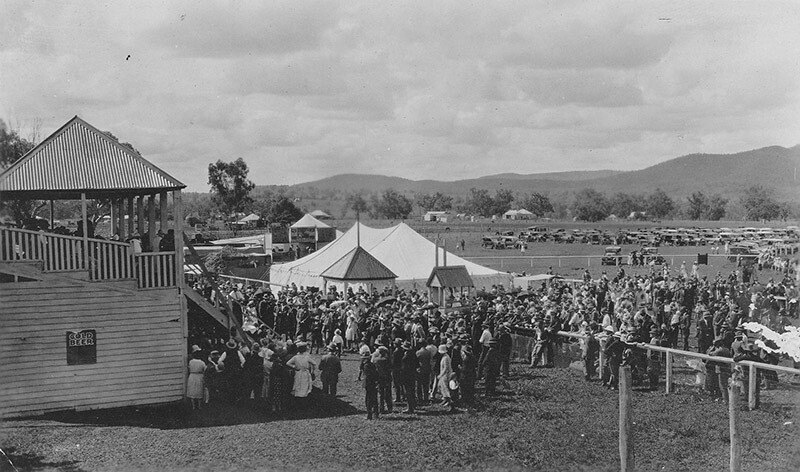 Historical Gallery of Bingara’s inaugural Show in 1931. Frank King showing Glen Brown.